Your credit report contains a lot of information about your payment habits that many businesses use to decide whether to do business with you and how much to charge you. Not just any business can check your credit report, especially not without your permission. The Fair Credit Reporting Act only allows businesses who have a "permissible purpose" to check your credit report. That would include something like pulling your credit report to see if you qualify for a credit card or loan. Here are some of the businesses that you can expect to check your credit report. If you already have a credit card or loan, your creditor might check your credit report to decide whether to keep your account terms the same or to change them. If there is negative information on your credit report, your creditor might raise your interest rate, lower your credit limit or close your account completely. Businesses who you already do credit with don't need your express permission to check your credit report. The terms of your credit card or loan likely include language letting you know the creditor will check your credit history periodically. When you apply for a new credit card or loan, the bank will check your report first to decide whether to approve your application, to decide what credit limit or loan amount to give you, and to assign your interest rate. Landlords check your credit report as part of the rental application process to determine whether they should rent to you. If you have recent delinquencies, foreclosures, or evictions on your credit report, your rental application could be denied. Insurance companies check your credit report to decide whether they should insure you and at what rate they should give you insurance. If you have negative information on your credit report, like late payments and collection accounts, you could have a higher insurance rate than consumers without negative information. Potential employers use your credit report to make hiring decisions. Your current employer might also review your credit report before giving you a raise or promotion. Bankruptcy, account delinquencies and high debt levels could keep you from getting a job or from getting a raise or promotion. 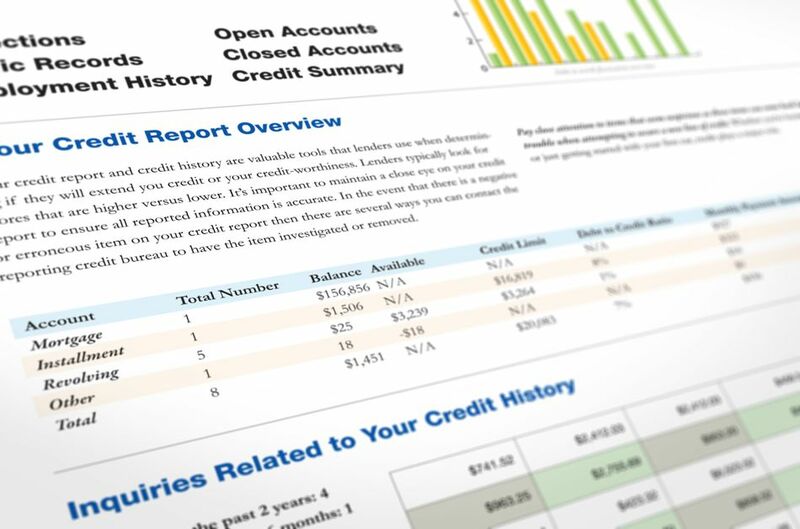 Debt collectors view your credit report to get information that will help them collect the debt from you. This includes your current address and employer information. They may also view other accounts on your credit report to estimate whether you can pay the collection or not. Before you can establish utilities, the company will check your credit report. They may charge a security deposit if there's information on your credit report that makes you look like a risky customer. In certain circumstances, government agencies can check your credit report. For example to determine whether you qualify for public assistance, to calculate child support payments, or to process your application for a government license.